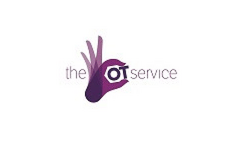 The Occupational Therapy Show, takes place at the NEC, Birmingham on the 27th & 28th November 2019 and offers Occupational Therapists (OTs) a CPD accredited conference programme spread over two days together with an integrated exhibition hall for suppliers to showcase products and services to thousands of OTs. Their are conference theatres are built in and around the exhibition floor, and a staggered programme means delegates (your potential clients) cannot go from one session straight into another. This gives you the footfall and the ability to have valuable conversations throughout the two days (and not just in break times!). 2018 attracted an audience of managers, technical officers, clinical leads and commissioners working within Equipment Provision to share best practice, and offered advice and direction to suppliers looking to work with regional loan stores and local authority integrated care equipment services (ICES). 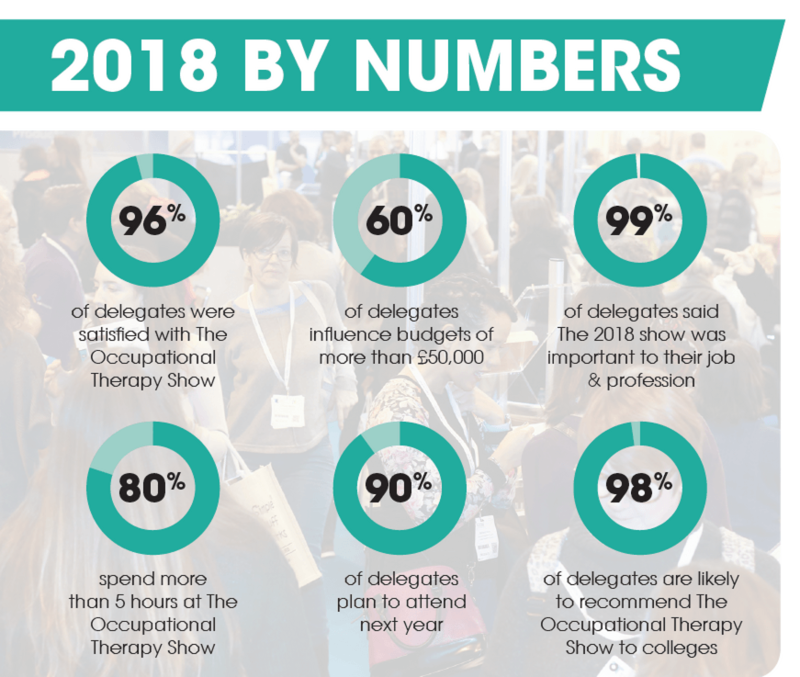 The Occupational Therapy Show attracts 5,000+ OT professionals from across the UK, and over 250 equipment managers and commissioners so exhibitors could meet face to face with their target audience who have the time, resource and authority to make decisions there and then. The most extensive delegate marketing campaign starts in April 2019 and is designed to attract over 5,000 delegates. 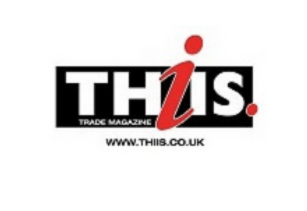 With over 200 exhibitors, all showcasing the latest innovations, technology and business services – it represents a high value day for delegates looking for new products or suppliers, special offers and hints and tips on how to run a more efficient department. The entire Show is situated within one hall, so all delegates have a unique 50/50 split of exhibition time and conference sessions. Delegates want to attend to help with their CPD requirements, as well learning from globally recognised professionals speaking at the event; giving them a great reason to attend. The support of the UKs leading societies and associations, coupled with extensive media coverage means that all 37,000+ UK OT professionals get to know about the show in good time to ensure it's in their personal diary and on the department calendar. Situated at the NEC in Birmingham, the most accessible UK exhibition venue. 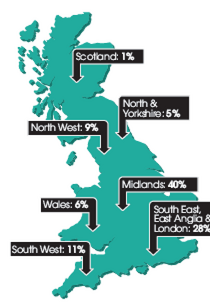 Find a UK distributor or agent.